ROCKY POINT, N.C.--Army Staff Sgt. 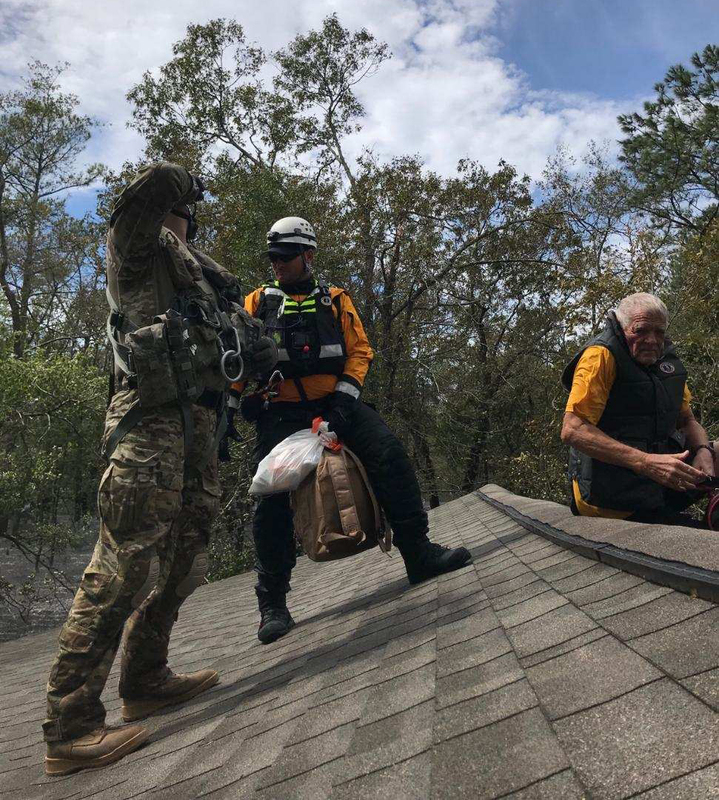 Charles Gabriel, a member of the New York Army National Guard's Company C, 1st Battalion 171st General Support Aviation Battalion, works with members of the FEMA Seach and Rescue Task Force 6 and the Greensboro, North Carolina Fire Department to rescue a 78-year old man from the roof of his house in Rocky Point, North Carolina on Sept. 18, 2018. The man was hoisted up to a hovering UH-60 Black Hawk helicopter in a Stokes basket. The New York Army National Guard deployed ten Soldiers and two UH-60 helicopters from Company C 1-171st GSAB to assist in the Hurricane Florence response.